PixabayAmerican alligators, as used in the experiment. In an effort to better understand dinosaur hearing, scientists used their most closely related and non-extinct relative — the alligator. According to Motherboard, researchers dosed 40 of these dangerous specimen with ketamine as a precautionary tranquilizer before placing earbuds on them to study how they experience audio. 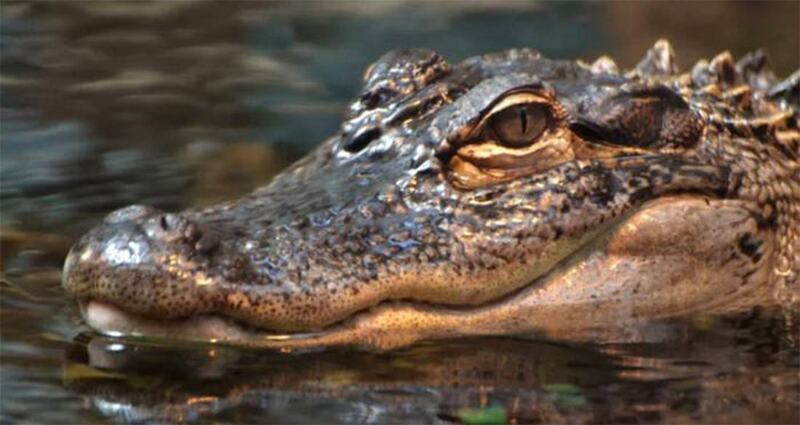 The experiment, the findings of which were published in The Journal of Neuroscience on Monday, intended to study the cerebral passageways in alligators that process soundwaves. These passageways, or “neural maps” generally utilize noise as an echolocation tool, which is invaluable to alligators in their underwater environments. Neural maps are quite common in invertebrates, particularly in nocturnal predators who have to rely on audio more than visibility. 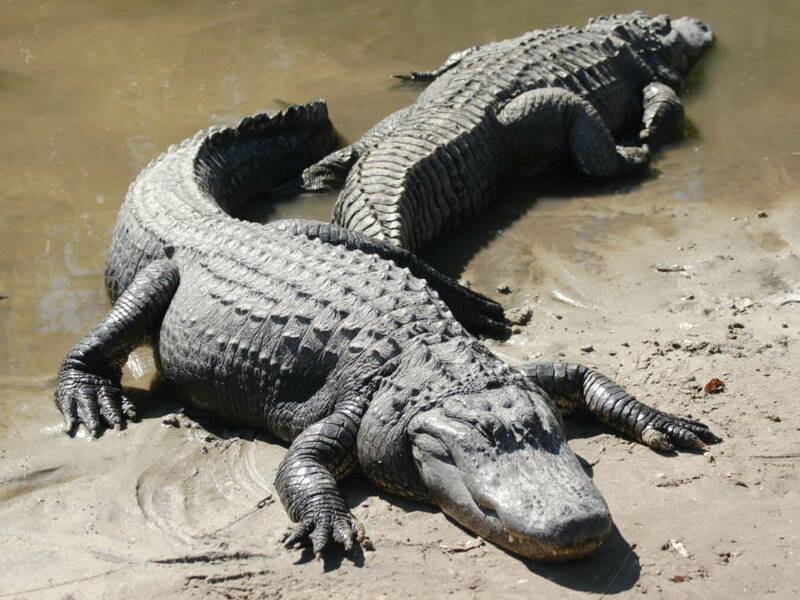 Wikimedia CommonsTwo American alligators in Florida, 2005. The study’s focus was centered on a concept called interaural time difference (ITD), which measures the time it takes for a sound to reach each ear. While this is usually, admittedly, only a few microseconds, it can reveal a wealth of information about how an animal hears, reacts, and behaves. University of Maryland biologist Catherine Carr and Technische Universität München neuroscientist Lutz Kettler have spent years studying how aspects of ITD allow animals like reptiles and birds locate sounds, and thereby, prey. Since alligators are one of the only animal species on the planet that share genetic and behavioral similarities with dinosaurs, Carr and Lutz were fairly confident that these reptiles would be the logical way to study the listening behaviors in dinosaurs. The decision to focus on alligators was further reinforced by previous studies which established that birds evolved a different neural process of using sound localization. The pair’s project hence aimed to better understand how American alligators use aural information, and where they operate on the ITD spectrum. In practical terms, the experiments was made possible with the help of some strong drugs. 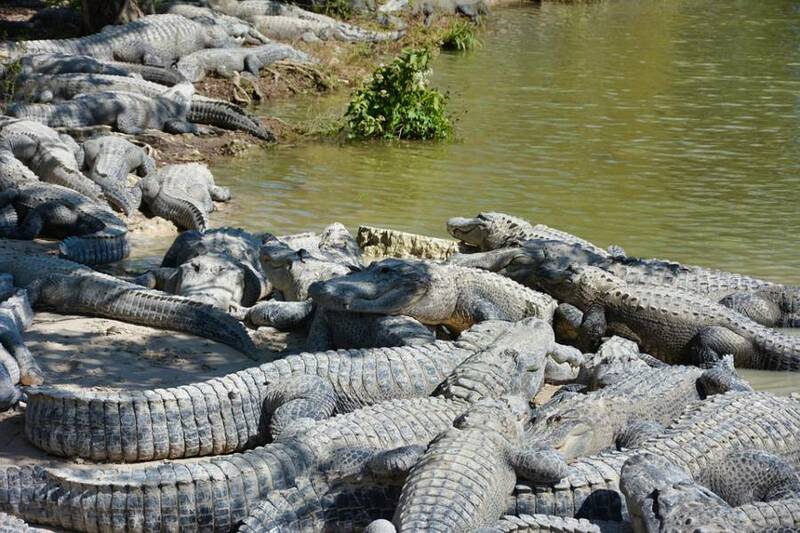 40 American alligators from the Rockefeller Wildlife Refuge in Louisiana were injected with ketamine and dexmedetomidine — the former, an anesthetic and recreational street drug, and the latter, a sedative. While the cold-blooded reptiles were properly sedated, the research team placed Yuin PK2 earbuds on the alligators’ ears. The earbuds were fitted with horns, of course, to stabilize them on the animals. Electrodes were then placed on the heads of the test subjects so that scientists could record auditory neural responses to the clicks and tones they played. These sounds were appropriately calibrated to frequencies alligators are actually capable of hearing. Regarding results, the experiment found that alligators locate sounds using neural mapping systems impressively similar to those of birds — despite their immense differences in brain size and anatomies. “One important thing we learn from alligators is that head size does not matter in how their brain encodes sound direction,” said Kettler. That discovery, in turn, suggests that even the largest dinosaur that ever walked the Earth likely used similar aural mechanisms to locate sounds — and thereby, hunt its prey — to those used by alligators and birds. 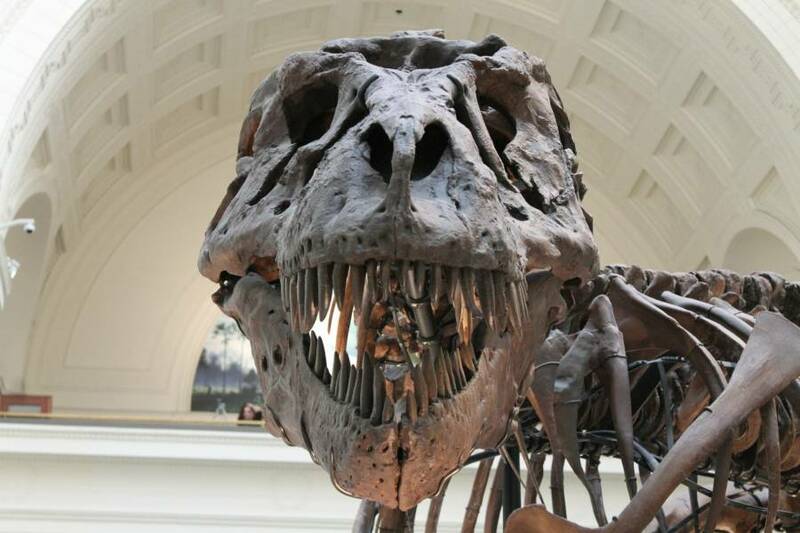 In other words, if you come across a Tyrannosaurus Rex, try not to freak out — at least not loudly. Next up, read about the Nodosaur, the dinosaur “mummy” unveiled with its skin intact. Then, learn about what scientists believe to be the very first animal on Earth.